We’d love your help. Let us know what’s wrong with this preview of Once by M.S. Kaye. Without each other’s comfort and strength, they must each struggle to forge a new path, with only memor Her first and also her once. 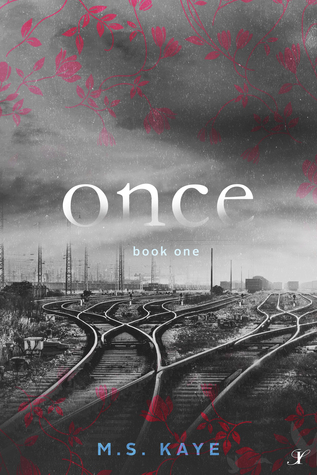 To ask other readers questions about Once, please sign up. Kaye’s character development is superb, showing a complex relationship between two characters, destined to meet at a precise moment in time. They come away from the encounter imbued with redemption and courage to redirect their lives. Once by M.S. Kaye is a New Adult Contemporary Story about two people spending a day off their real lives on a train. Jonathan and Rebecca keep seeming to run into each other on the train, until they meet up once too many times, and the encounter changes their lives. I picked this up, and 6 hours later, lay my reader down while wiping my tears for the umpteenth time, smiling, and unable to wait for more of the story. A well written story that I stayed up later than I should have to finish reading! The best part is the underlying story that gives a deeper meaning to the whole novel. I won't give away the ending though! You'll have to find out what this important message is for yourself. Melissa has multiple published books under her black belt. A transplant from Ohio, she resides in Jacksonville, FL with her husband. Find suspense and the unusual at www.BooksByMSK.com.